The Nervous System is the first system formed after conception. Its function is central to your functioning. Messages generated in the brain in response to external and internal stimuli travel down the spinal cord and out along nerves to control the cells of every muscle, organ and tissue in your body. Interference at any point along this original “information highway” garbles the message being sent and changes the output further down the line – a muscle is not told to relax, a gland is left to over-secrete, an organ functions improperly… symptoms develop. Chiropractors are trained to be Nervous System experts. Dr. Blumberg combines a thorough consultation with careful orthopaedic testing, x-ray, and cutting edge computerized assessment in order to get a multi-faceted picture of each patient’s health. Using the information collected during the Consultation and Initial Examination, Dr. Blumberg and the patient take the second office visit to formulate a customized plan of care which can include gentle hands-on chiropractic adjusting, soft-tissue therapy, passive joint mobilization, at-home exercise advice and recommendations for posture modifications. It is our commitment to meet each person at their current level of health and journey with them as far as they can see their potential to be. This is the age when the mind-body connection is coming to the forefront of healthcare thinking. What many have always ‘known’ is finally ‘seen’ as science discovers ways to investigate the body beyond anatomy and chemistry. Rather than investigating symptoms, we can now look at the CAUSE of symptoms. We can acknowledge that ‘who’ and ‘how’ we are right at this moment is because of everything we did and thought about before this moment. We are a sum of our thoughts and experiences – and sometimes those memories are not serving us well. Bio-Energetic Synchronization Technique acknowledges the concept of Interference we create with our conscious minds. Worry, guilt, fear, judgment and a myriad of other emotions can impede the body’s ability to maintain and heal itself properly. Using a gentle and specific sequence of pressure point stimulation while focusing on words meant to target specific memory stresses, B.E.S.T. stimulates the brain-body connection to act in present time consciousness rather than exhausting itself focusing on past negative emotions. Having been ‘reset’ and able now to function at its highest capacity, the brain and nervous system can optimally regulate and repair all body functions and the door is open to the attracting improved life circumstances. I firmly believe that the best way to find out what B.E.S.T. can do is to come see for yourself. 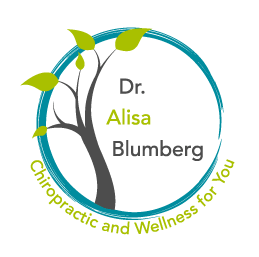 I invite you to reach out to me (416-613-9355), come in for a consultation, or click over to the Speaking Page and find out about what seminars and group discussions are happening soon! I am proud to be a part of the outstanding clinical team at Pinewood Natural Health Centre. Check out the Pinewood website, www.pinewoodhealth.ca, to see what my colleagues are doing!